The jungle safari in Sri Lanka is the biggest highlight of every vacation to this tropical island. It is a true heaven for nature and wildlife lovers. Sri Lanka recently also found a place on Forbes magazine’s list of top ten coolest countries to visit in 2015. And according to Forbes, the main draw of the country isn’t its golden beaches or ancient cities, but its incredible wildlife. 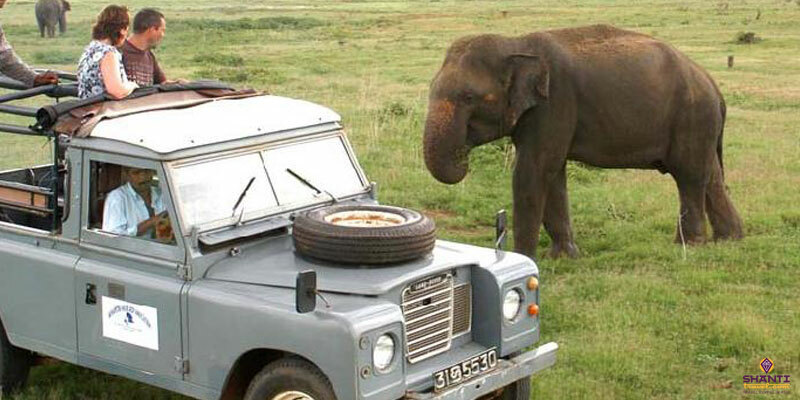 Read on to know more about the jungle safari in Sri Lanka that you simply cannot miss. 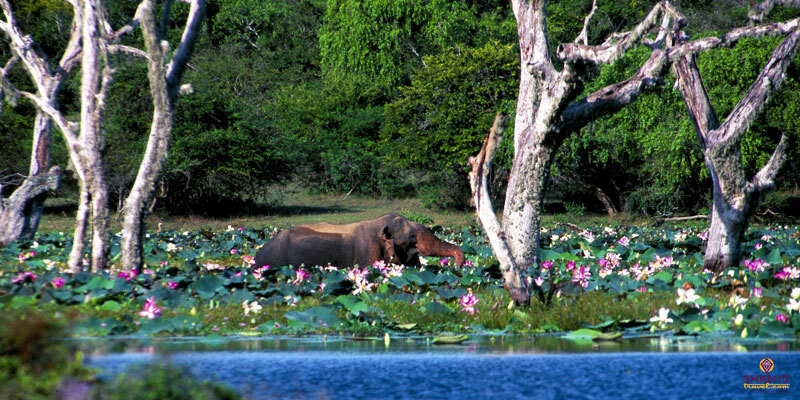 The second biggest national park in Sri Lanka, Yala is the most popular wildlife reserve in the country. It has the biggest concentration of leopards found anywhere in the world. 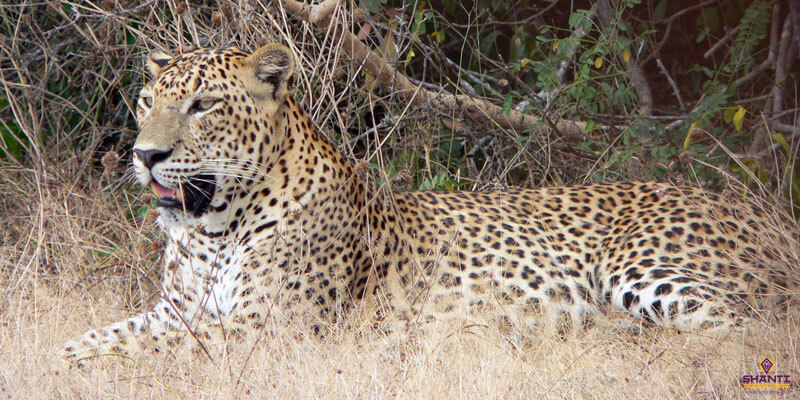 Spotting a leopard while on a safari in Sri Lanka is considered a highly lucky occurrence. This luxury is however only to be had in Yala. Other famous residents of the park include Sri Lankan elephants, crocodiles, sambars and spotted deer. Sloth bears can also be spotted lazing around in the months of June and July. Elephant watching is best done in the nearby Uda Walawe National Park. The park has stark landscapes devoid of very dense vegetation, making it easy to spot wildlife. Its vast terrain is often compared to the African savannah. Within the park premises, located quite nearby is the Elephant Transit Home. Here visitors can watch young orphaned elephants being fed by trained staff. This is one poignant experience you’d definitely like to take back your jungle safari in Sri Lanka. Lunugamvehera National Park, located close to Yala National Parl, is a great place to spot several iconic water birds as well as elephants and deer. It is less crowded and thus allows for a more peaceful interaction with nature. The park also serves as a corridor for elephants to move between Yala and Uda Walawe. In the same neighbourhood is Bundala National Park, also a famous Ramsar wetland. 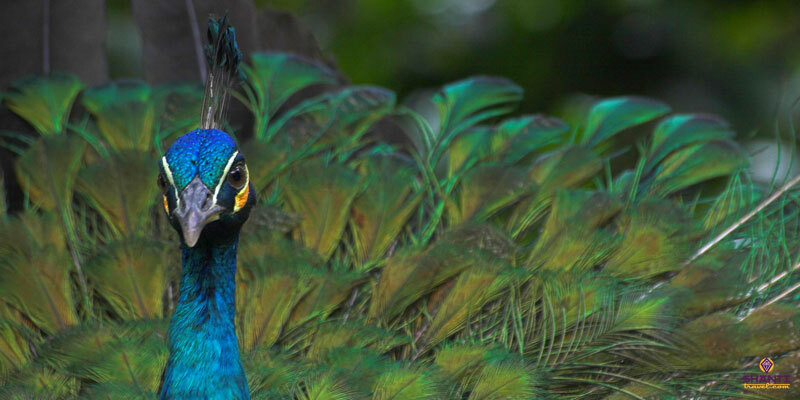 It is a prime destination for enthusiastic birdwatchers on a safari in Sri Lanka. The greater flamingo is welcomed every year as it migrates here from the Rann of Kutch in India. The painted stork, black-headed ibis and grey heron are other water birds commonly sighted in the winters. Wilpattu National Park is the largest park on the entire island. It was closed to visitors for many years due to the civil war, but has recently been reopened. Tourists can currently tour about 25% of its area while on a jungle safari in Sri Lanka. Elephants, sloth bears, spotted deer, sambar and water buffalo are known to inhabit the park. It also has a leopard population that is so far undocumented and out of bounds for tourists. The park gets its name from the many “Willus” or natural lakes found throughout its territory. Gal Oya is located in the catchment area of Sri Lanka’s largest reservoir. A number of exotic water birds and aquatic animals make this park a heavenly destination for an aquatic safari in Sri Lanka. The park houses three mountain peaks and a significant amount of mountainous grassland. It is also unique as it is the only park where you can go on a boat safari in Sri Lanka. And if you’re lucky enough, you could spot elephants swimming in the reservoir too! The best time to go for a safari in Sri Lanka varies according to the location you choose to visit. 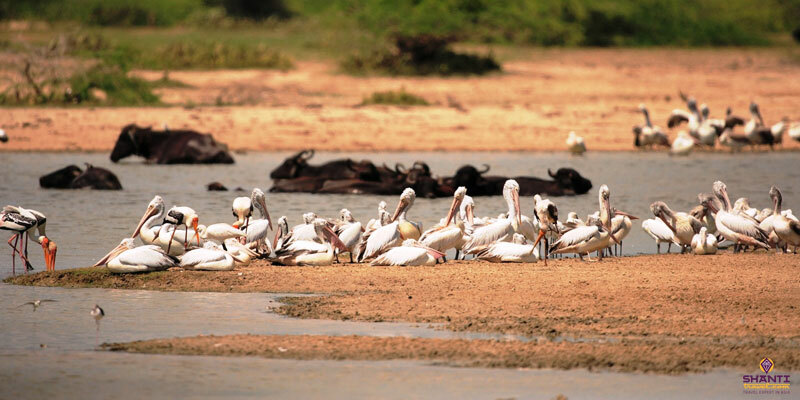 February to July is the most appropriate time for a trip to Yala National Park. The water levels in the park are low during this time, bringing the animals out in the open. From July to December, Yala experiences heavy monsoons and can be avoided. September-November and March-April offer mostly good weather conditions throughout the rest of the country. Gal Oya is best visited during the Summer months. 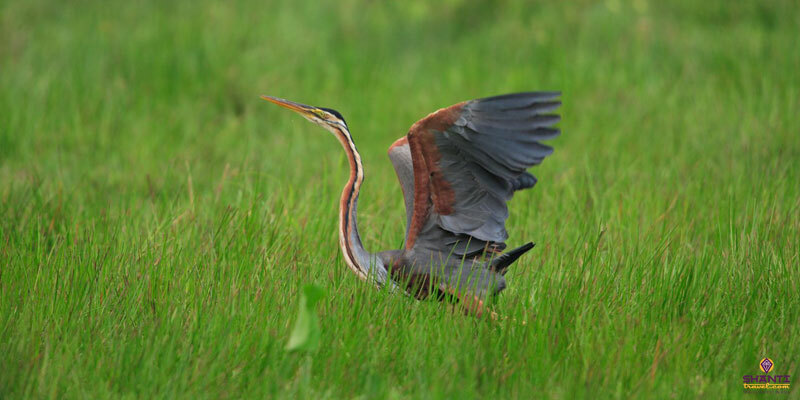 For bird-watching, however, the migratory season in winter is the best time to embark on a safari in Sri Lanka. Between May and October, elephants can be seen gathering in the Minneriya National Park in huge herds of often a hundred or more. 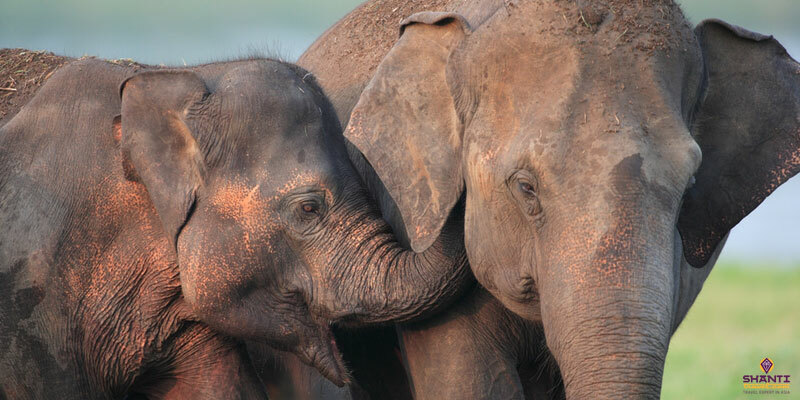 Known as the “Great Gathering”, this is the best time to go for an elephant spotting safari in Sri Lanka. August-September is considered the peak season. Unbelievably large groups of elephants are spotted during this time. It is a fantastic sight to watch these majestic animals in their natural habitat. Sri Lanka being a tropical paradise, you’re often over-exposed to the elements. It is wise to wear loose cotton clothing and keep your legs covered for fear of snake or insect bites. Wear a hat and sunglasses to keep the scorching sun at bay. Also carry a bottle of water and keep yourself hydrated at all times. And of course a camera is indispensable for capturing the immense beauty of the place. You wouldn’t like to return home without some tangible memories to mark your jungle safari in Sri Lanka. It is advisable to book your safari jeep, park tickets as well as tour guide in advance. They usually provide pick up and drop facility from the hotel as well. Jeeps and tickets are also available at the park gates. The safari drivers know their way around the park and can help you spot animals. But answering specific questions about the animals and their habits doesn’t quite fall in their areas of expertise. It is advisable to hire knowledgeable tour guides or trekkers for that purpose. The best time to enter the national parks is either in the early morning between 6-7 am, or after 4 pm. This is when the animals are most easily visible, as during the day they hide from the sun. Each of the national parks is within easy reach of the capital city Colombo by road.